Bulk head gates are typically used for dewatering and isolating equipment such as downstream gates, pumps etc. Rubber J-seals around the perimeter of the gate control leakage effectively and are hydrostatically energized. Bulk head gates seal in one direction. Bulk head gates are typically custom fabricated from steel or stainless steel. Designed to be placed in slots or grooved channel walls and are lifted and lowered with overhead or mobile cranes. The slots or grooves may be lined or fabricated from steel or stainless steel for ease of insertion and good fit with rubber seals on the bulkhead gate. The sill surface may be formed by flat and level concrete invert or with an embedded sill plate. 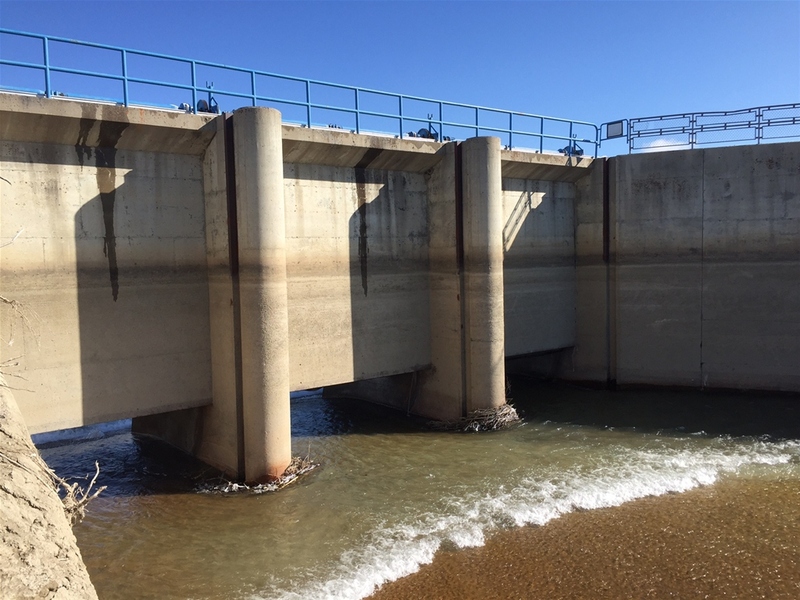 Instream Water Control Projects can Design, Engineer, and Fabricate a custom bulkhead to meet your needs.